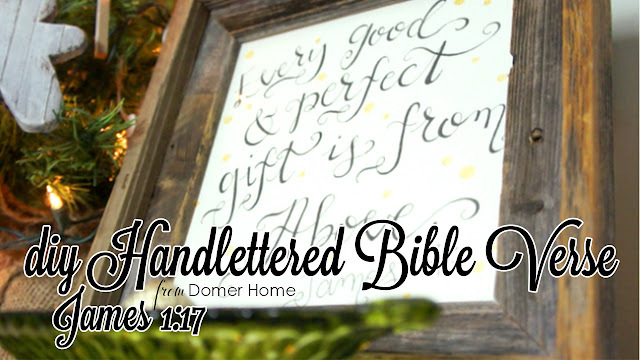 Domer Home: CHRISTMAS ROUND UP! Since Christmas is my all-time favorite season, I had SOOOO many Christmas projects, and therefore videos, to make and post. If you have not had a chance to check out my home tour and decorating videos thus far, go ahead and watch 'em! I know Christmas is over, but there are plenty of ideas in them for next year! 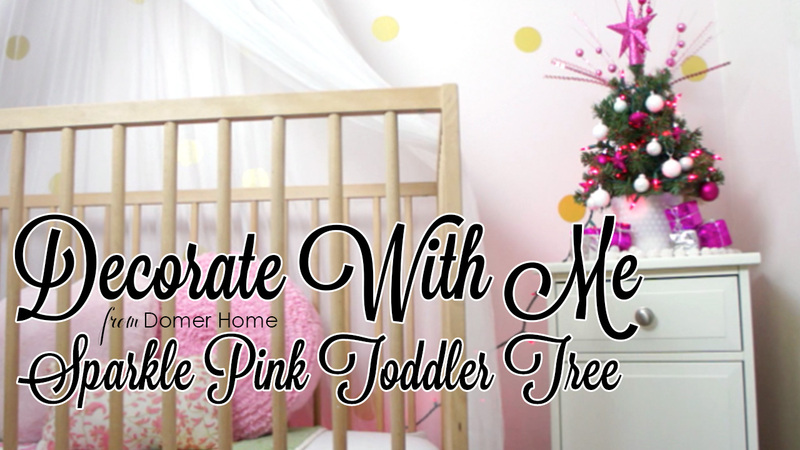 This year, Selah and I decorated her first bedroom tree! I always wanted my own tree growing up, so I was thrilled to provide Selah with her own tree. I think it will be fun to customize the theme for her each year, depending on what her hobbies and interests are. We had a blast together! 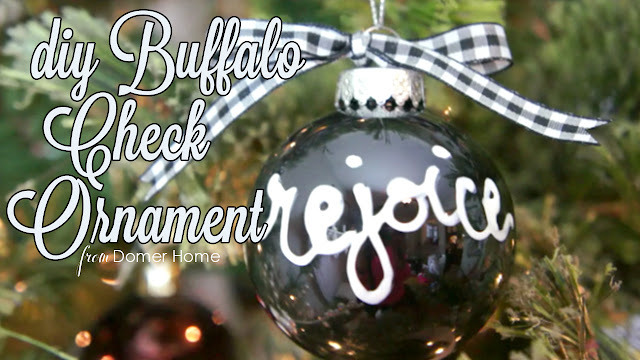 I also made these really easy black and white ornaments from Dollar Tree clear bulbs, acrylic paint, puff paint, and ribbon! So easy and very affordable. I made these for an annual ornament exchange that I try to go to each year. I think they came out pretty cute, considering it ended up to be a last minute craft! 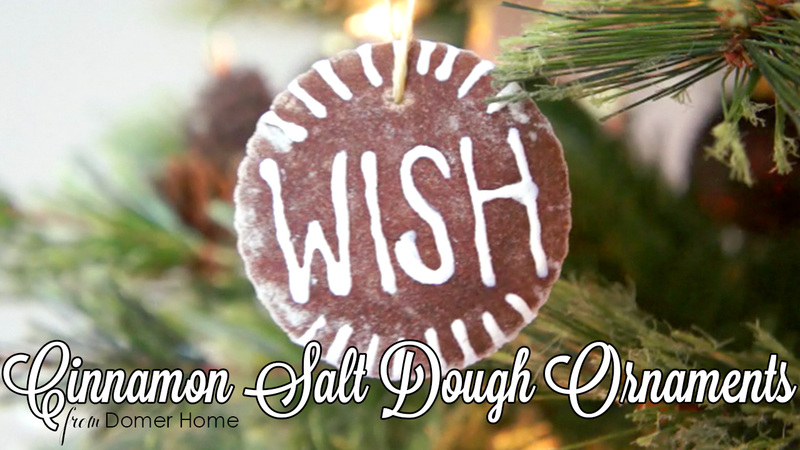 I also whipped up these cinnamon salt dough ornaments using cheap-o cinnamon and cinnamon bark essential oils. Yum! They smelled sooo good! I used puff paint to do the "frosting". These were donated to a friend's baby adoption fundraiser. I got this thrifted crate awhile back and I finally got around to refinishing it with some leftover chalk paint. And ta-da! Thrifted fruit and Dollar Tree ornaments filled it in. 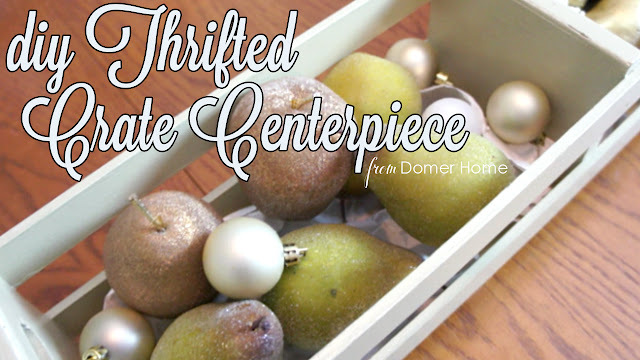 (Watch those hauls here and here.) I can't wait to replace them with some cute mason jars and florals for spring! 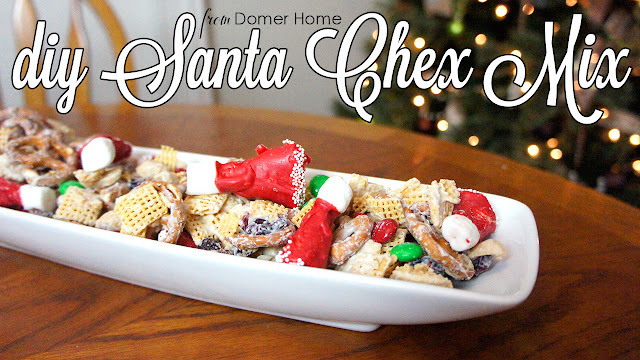 I made this Santa Hat Chex Mix a few years ago and it was a highly trafficked blog post, so I decided to remake it in video format with Selah! We had a lot of fun "cooking" together in our latest installment of Selah Cooks. Check it out for some cuteness overload! And nothing says Christmas like Jesus' birth. I just love how this verse is the perfect reminder of the most perfect gift. This was also created for my friend's adoption fundraiser... and it sold almost immediately! I hope you all enjoyed these Christmas videos! Stay tuned on Youtube and the blog for some organizational videos to bring in 2018!